Optional Single Supplement: $707 USD (number of singles limited). Excellent transportation. The meal plan was good. Laura, our tour leader, was unflappable. Her vibrant personality, boundless energy, attention to detail, and organization skills were superb. I look forward to traveling with here again. She was outstanding. Overall the trip was very well run. Hotels were excellent. I LOVED the excursion to La Naciamento, organic farm (indigo et al) in Nicaragua. Fun, enlightening, and the owner was inspirational. Copan ruins was a highlight, as was Atitlan and Antigua. I really liked our local guides in Nicaragua (Henrique), El Salvadore (Benjamin), Copan. Laura, our tour leader was friendly but professional. Quick to anticipate and/or respond to needs. Organized. Totally fluent in Spanish. Great communicator, with lots of interesting information. We LOVED her!!!!! She really has in-depth knowledge of these countries. She brought and presented several current articles on: national elections, drug trafficking and crime, etc. I really enjoyed her supplemental presentations. She was not just a "generic leader" but really an country resource. Clone this woman! Love you guys! All excursions were good. Particularly enjoyed the visit to Copan. Our tour leader Laura's fluency in Spanish was a great help. Transportation was very good. The meal plan exceeded my expectations. Laura was much more knowledgeable about the countries than I had expected. She had a fantastic ability to deal with a very diverse tour group. Laura was the best. Very enjoyable and informational tour. I would definitely travel with Adventures Abroad again. Today we arrive in Managua, Nicaragua; transfer to Granada. The country of Nicaragua derives its name from Nicaro, the name of the Nahuatl-speaking tribe which inhabited the shores of Lago de Nicaragua before the Spanish conquest of the Americas, and the Spanish word Agua, meaning water, due to the presence of the large lakes Lago de Nicaragua (Cocibolca) and Lago de Managua (Xolotlan), as well as lagoons and rivers in the region. At the time of the Spanish conquest, Nicaragua was the name given to the narrow strip of land between Lake Nicaragua and the Pacific Ocean. This is the largest yet most sparsely populated country in Central America. We start our day with a private boat cruise on Lake Nicaragua. This journey will take us through the Granada Isletas, an exotic tropical archipelago of 365 tiny volcanic islands. Granada is a port on giant Lake Nicaragua, and a boat journey to visit Las Isletas just offshore is a must for any traveller. Some of the 365 islands are inhabited and most are covered with a vast variety of unusual vegetation. This is also an area rich with bird life. Canals separate many of the isletas where fishermen, seated patiently on Indian rafts, wait for a bite. Of archaeological interest is the Fortress of San Pablo, placed strategically on an island opposite the city. The fortress was built in the mid- 18th century to protect Granada from the marauding pirates. It was restored in 1974. Pre-Columbian archaeological stone pieces were found on Pensacola Islet and are on exhibit in the Museum of the San Francisco Convent. In the afternoon we will enjoy an excursion to the famous Masaya Volcano National Park, Nicaragua's first national park, established in 1979 and considered one of Nicaragua's most interesting and beautiful natural phenomena. We will explore the crater rim of this active volcano, which resembles a lunar landscape, and will visit the park museum. We will also visit the Caterina viewpoint over Laguna del Apoyo, for a breathtaking view over Granada and Lake Nicaragua. Caterina, a small caldera village dubbed that is part of the Los Pueblos Blancos, is also the viewpoint that a young Augusto Sandino contemplated decisions and planned for the future liberation of Nicaragua. Today we will enjoy a full-day excursion to Nicaragua's famous Ometepe Island, one of the most impressive sights in Central America. The name Ometepe means 'two hills' in the native Nahuatl language. The island measures 276 square kilometers and it houses two majestic volcanoes connected through a small strip of land. The two volcanoes, Concepcion and Maderas, are joined by a low isthmus to form one island in the shape of an hourglass. Concepcion Volcano is still active, and most recently erupted on December 5, 2007. Ometepe is somewhat isolated from the rest of Nicaragua and therefore maintains its special mystery and charm. After driving along the southern shore of the lake to the boat dock, we will board the ferry for the 1.5 hours ferry ride on Lake Nicaragua to Ometepe Island. When we arrive at Ometepe Island we will enjoy a sightseeing tour of the island, including some petroglyphs. For lunch we will make a break at Santo Domingo Beach, and then we will explore the harbour town of Moyogalpa. At the end of our day we will then travel by ferry back to the shore where we begin our drive back to Granada. This morning we will start our day with a walking tour of the historic city center of Granada, considered to be one of Latin America's most beautiful colonial cities. This ancient town on the shores of mighty Lake Nicaragua is full of history and Spanish colonial charm and is one of the oldest European settlements in the western hemisphere. Actually, it is the oldest city founded by Europeans on mainland America, that still exist in its original location. Granada is historically one of Nicaragua's most important cities both economically and politically. As with all colonial cities in Central America, Granada is built around its main square (Parque Central) that represents the city's social, cultural, and economic hub. Around the Parque Central visitors find Granada's cathedral, the city hall, important banks, cultural centers, as well as myriad small shops and stalls selling traditional food and handcrafts. In the afternoon we will drive to Leon. Home to more than 12 colonial period churches, including Central America's largest church, and Nicaragua's greatest passion, poetry, Leon is also the cradle of Nicaragua's 20th century revolutionary movement. While in Leon we will visit the Revolutionary Museum. Leon was founded by the Spaniards as Santiago de los Caballeros de Leon and rivals Granada in the number of historic Spanish colonial homes and churches. If we have time we may be able to visit some boiling mud at San Jacinto in the late afternoon. This is an intriguing example of volcanic activity in the region. Our day will begin with a guided sightseeing tour of Leon with its interesting center featuring many old colonial houses, monuments, and churches. We will see Leon Cathedral, the Plaza of Poets, the Plaza of the Revolution, as well as many colourful political murals. Leon Cathedral is the most prominent building of Leon and is the largest cathedral in Central America. Situated in the central plaza, the first construction of this huge building started over two centuries ago. From the rooftop we will have a superb view of the city. 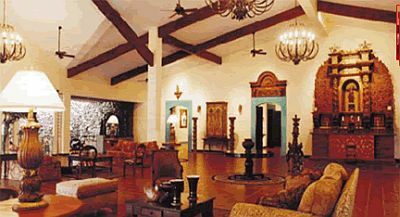 The Ruben Dario Museum is housed inside the former home of Nicaragua's most beloved poet. We will also visit the 300-year-old Subtiava Indian Church in the Subtiava Indian neighborhood of Leon. In the afternoon, we will tour the first city named Leon which was established in 1524 and was located about 20 miles east of the present site. The city was abandoned in 1610, after an eruption of the Momotombo volcano, located only a couple miles away, which left extensive damage in the form of flooding from Lake Managua. The inhabitants decided to move to its current location next to the Indigenous town of Subtiava. Today we depart from Leon and drive to Managua for our flight to San Salvador, El Salvador. El Salvador is the smallest and most densely populated country in Central America and adjoins the Pacific in a narrow coastal plain backed by a volcanic mountain chain, and a fertile plateau. The origins of the city of San Salvador can be traced to before the Spanish Conquest. It is near the present location of San Salvador that the Pipil groups established their capital of Cuscatlan. Little is known about this city since its inhabitants abandoned it in an effort to avoid Spanish rule. El Salvador is the country with the highest density of volcanoes on the American continent, and is truly a destination to discover and admire. Volcanoes have forged the history of this land and this is something you will experience when you discover the dramatic landscapes with impressive lakes, valleys and Mayan sites. Today's journey will take us through what is probably one of the most beautiful regions of El Salvador, where we visit the towns that are part of the 'Route of the Flowers.' This route received this title because of the many beautiful flowers and plants you can see and the stunning little mountain towns that you can visit. Every town has it's own charm and character, with their churches, markets and crafts. This route takes us along the road between the city of Sonsonate to Ahuachapan. Here we find a series of towns with a wealth of cultural traditions. The first town will be Nahuizalco, characterized for having strong pre-Columbian traditions. This is one of the country's most important indigenous and crafts populations. Baskets and furniture woven from natural fibers such as "Tule" and wicker dress up the streets. In the heart of the route we find Salcoatitan. Its white colonial church in front of the Central Plaza is one of its main attractions. It was here where the first coffee tree was planted, a profitable item that supports the local economy. We continue our tour towards Juayua, famous for its Black Christ. This beautiful town is of coffee tradition and it envelops an extraordinary climate and nature. We will also visit the town of Apaneca before ending our day with a visit to Concepcion de Ataco, a pre-Columbian town established by the Piples tribe and located in the heart of the mountain where its cobblestone streets and lanterns provide a unique atmosphere. Somewhere along today's route we will visit a coffee plantation. Today we visit is the colonial city of Chalchuapa, built partly in the premises of the Tazumal pyramid complex during the colonial period. In the historical center is one of the oldest churches in El Salvador. Tazumal is one of the most important pre-columbian sites in El Salavador with construction starting in the pre-classic period. We will also stop at the nearby Casa Blanca to observe the influences left by the Olmecs as well as tour the small museum with Mayan ceramics on display. This afternoon we will enjoy another tour of a Pre-Columbian site, San Andres before touring Joya de Ceren, a village covered by the Laguna Caldera volcano 1,400 years ago. Today, this preserved city is considered to be a jewel of history and is known as the 'Pompeii of the Americas'. After our sightseeing we drive to Suchitoto for our overnight stay. We continue our tour in the small beautiful town of Suchitoto. This is one of the true hidden gems of El Salvador. Known for its central church and cobblestone road, Suchitoto is a place where one takes a step back in time. Originally a Pipil town, Suchitoto was the nation's capital for 15 years beginning in 1528. Today it's a quaint colonial town with several tourist attractions along its cobblestone streets and rich in cultural and artistic attractions. The town offers fantastic views of the Lake Suchitlan and Volcan Guazapa. On our tour through the city center, we will learn about history and architecture of Suchitoto. The town has a very relaxed feel and is often referred to as the 'Antigua of El Salvador'. This afternoon is yours to discover and your tour guide can assist you in planning your afternoon. You may chose to go to an indigo workshop where we can witness the making of typical clothing, or venture out bird watching or walk to the Salto du Cubo waterfall. Walking trails are easily accessible within 5 minutes of Suchitoto’s town centre. This morning we depart from El Salvador. En route we stop in Santa Ana, the second largest city in El Salvador. The city has pre-Columbian origins and functions today as a major processing center for El Salvador's sizable coffee industry. We may also make additional stops to finish any sightseeing not accomplished in prior days before we continue towards the border with Honduras. This is a spectacular drive through a lush green landscape to the quaint and charming colonial town of Copan for our overnight. 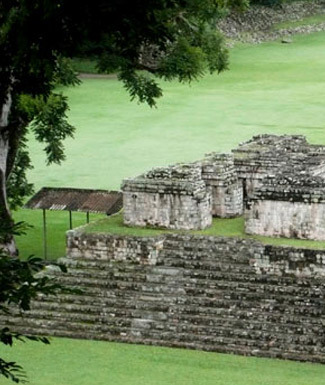 This morning we will visit the Copan archaeological site. The Mayan ruins of Copan are fascinating, beautiful and unique among Mayan cities. Declared a World Heritage Site by UNESCO in 1980, Copan contains some of the most important Mayan ruins found to date, and many unusual artistic features. We will tour the sight on foot, walking through grassy plazas filled with intricately carved and decorated monuments, statues and staircases. Huge carved faces stare at you from ancient walls and bring the place to life, causing renewed wonder at the mysterious disappearance of such a creative civilization. Often called the "Athens of the New World," Copan features some of the Mayas' most impressive accomplishments in architecture, in astronomy, in sheer civic organization. After our guided tour of the archaeological site we will visit the world famous Sculpture Museum, designed to give the visitor a sense of how the ancient Maya viewed their world, and recorded its most important aspects in architectural and freestanding sculpture. The Ball Court at Copan is the second largest in Central America; and nearby is Copan's most famous monument, the Hieroglyphic Stairway, the work of King Smoke Shell. The flight of 63 steps bears a history, in several thousand glyphs, of the royal house of Copan. 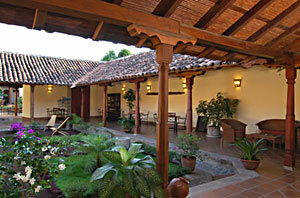 This afternoon you will have some free time to explore the colonial town of Copan. Today we depart Honduras and travel by road to Antigua, Guatemala, which may be the most outstanding and best-preserved colonial city in Spanish America. Travellers are overwhelmed by the natural beauty and wealth of historic monuments. The Spanish Colonial style permeates every part of the town: its houses, churches, squares, parks and ruins, also its traditions and folklore as well. Antigua is a city of charm and colour where you can see and buy an overwhelming variety of attractive, handmade products that honor the traditions generations of artisans. The city, founded in 1543, was the seat of Spanish colonial government for the Kingdom of Guatemala, which included Chiapas (southern Mexico), Guatemala, Belize, El Salvador, Honduras, Nicaragua and Costa Rica. Throughout its history the city was repeatedly damaged by earthquakes, and always rebuilt, bigger and better. But on July 29, 1773, the day of Santa Marta, earthquakes wrought such destruction that officials petitioned the King of Spain to allow them to move the capital to safer ground, which led to the founding in 1776 of present-day Guatemala City. Today its monumental bougainvillea-draped ruins, and it's preserved and carefully restored Spanish colonial public buildings and private mansions give form to a city of charm and romance unequaled in the Americas. 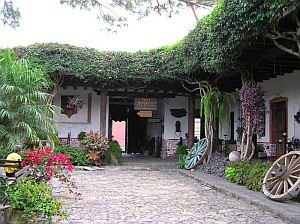 In 1979 UNESCO recognized Antigua Guatemala as a Cultural Heritage of Mankind site. Time permitting we may accomplish some of our Antigua sightseeing today upon arrival. Antigua is located in a valley and surrounded by many green small hills and three volcanoes: Agua, Fuego and Acatenango. We will explore both the restored colonial buildings as well as those left as ruins throughout the city. Among the intricate colonial buildings and interesting museums we will visit on our tour, we will explore the ornate La Merced church and the ruins of the Capuchinas convent. We also visit h the Santo Domingo Monastery complex. Wandering down the cobblestone streets of this magical city or through the central plaza to view the mermaid fountain, you will quickly realize why people call Antigua "the colonial jewel of the Americas" and why most vow to return. Our tour will take us to the impressive town square (plaza) where travellers are often drawn to the beauty and activity. The massive trees offer shade, and combined with the cold drinks and snacks sold by countless vendors, it is a prefect place to beat the heat. Around the perimeter of the central park are many buildings of note, including the Palacio de los Capitanes, and the Museo de Arte Colonial (Colonial Art Museum). Directly east of the plaza is the Santiago Cathedral, which has been damaged and rebuilt many times. This cathedral is said to contain somewhere within the remains of Don Pedro de Alvarado, conquistador of Guatemala. After lunch you will have some free time to explore Antigua on your own. The whole city is full of historic buildings, monuments, fountains and ruins… as well as restaurants, markets and cafes. This morning we depart for Chichicastenango (locally known as Chichi) where we will tour this world famous market. On Thursdays and Sundays there is a large market here where vendors sell handicrafts, food, flowers, pottery, wooden, condiments, medicinal plants, candles, pom and copal (traditional incense), cal (lime for preparing tortillas), grindstones, pigs and chickens, machetes, and other tools. The manufacture of masks, used by dancers in traditional dances has also made this city well known for woodcarving. This market is reputedly the largest outdoor market in Central America, and it attracts buyers and sellers from near and far. Originally only the indigenous population of the Quiche region frequented the market, but its fames has reached all corners of Guatemala and beyond. Our walking tour through the market will bring us to the 400-year old church of Santo Tomas. It is built atop a PreColumbian platform, and the steps originally leading to a temple of the pre-Hispanic Maya civilization remain venerated. Shamans still use the church for their rituals, burning incense and candles; in special cases they burn a chicken for the gods. Each othe 18 stairs that lead up to the church stands for one month of the Maya calendar year. We continue to Panajachel. This morning we will take a boat tour around Lake Atitlan and stop at the town of Santiago de Atitlan. Our drive takes us to the town of Panajachel on the shores of Lake Atitlan. Arguably one of the most beautiful lakes in the world, Atitlan owes its grandeur to its enormous size and spectacular, volcanic setting. Lake Atitlan was formed after a volcanic eruption. Three stately volcanoes -- Atitlan, Toliman and San Pedro -- rise gracefully from its southern shore, their perfect cones reflected in the azure mirror of the lake. Late this afternoon we travel back to Antigua. Today you transfer to Guatemala City Airport (45-60 minutes) in time to connect with homeward flights. Hotel El Patio del Malinche is situated in a renovated, colonial house where the original style of houses from Granada ...	been combined with modern hotel amenities like wireless internet, a pool, and air conditioning. There are two interior patios in the hotel. The central location, only a few blocks from Granada's central park, makes it possible to easily reach the interesting sites in town. Located in El Salvador's new financial & commercial district in the most exclusive and safe area of the city, the ...	by Marriott is centrally located, within walking distance to fine restaurants, coffee shops, and shopping. 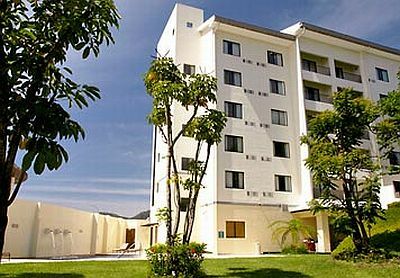 Our San Salvador hotel features spacious guest rooms with luxurious bedding, with complimentary high-speed Internet access, air-conditioning. The Marina Copan experience starts with distinctive lodging. 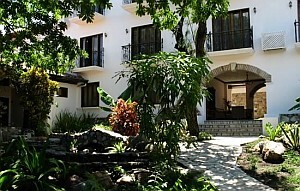 They offer 51 spacious rooms designed in a classic colonial style. All ...	are fully furnished with air conditioning, ceiling fans, cable TV and phone. Hotel Posada de Don Rodrigo where beauty encounters elegance, service, and good taste within a town rich with traditions and ...	landscapes. This is a beautiful hotel, which has been physically conditioned in three ancient houses, one of them, "La casa de los Leones" registered as historic monument. Breakfast and dinner daily (hotels and local restaurants). All transport, sightseeing and entrance fees for sites noted as 'visited' in the detailed itinerary. Gratuities for local guides, drivers, restaurant staff, hotel porters (if available). Airport transfers for land & air customers arriving / departing on tour dates. International airfare to/from the tour. Tour Leader gratuity, lunches, drinks, personal items (phone, laundry, etc), departure taxes, and international air taxes (if applicable). Airport transfers for Land Only customers. Optional trip cancellation insurance. Our post-reservation trip notes offer further guidance on not included meal costs, shopping, and locally paid departure taxes. Temperature can vary greatly depending on elevation. Cloud forest / mountain areas can be quite cool and misty, while coastal areas are much hotter and humid. The "green" season runs May-December. The warm dry season is Dec-May, though temperature differences between seasons are slight. Road transport by private air-conditioned motor coach, 12-30 seats depending on ultimate group size (see 'group size'). The countries' roads are generally good though we do have some long (though scenic) road journeys. Numerous nature walks and walking tours on uneven surfaces. Internal flights via scheduled carriers. Our difficulty level "2" rating refers to the above-mentioned busy days, walking tours on uneven terrain, lack of handrails (public and elsewhere, ie shower stalls), and fatigue that can be caused by heat and humidity and unfamiliar food and drink. Well-located, heated / air-conditioned, mid-range (3 star) hotels with en suite toilet and bath throughout (probably shower only). Single rooms are limited and likely smaller than doubles. Hotel porter service is sometimes available (see 'Inclusions') though you should be independent with your luggage, especially at airports. Some hotels have outdoor swimming pools.